The 'Max' and 'Min' magnitudes are all visual except where the 'Min' is followed by a 'p', in which case they are both photographic. In the Eclipsing Binary Program list, the 'D' column gives the duration of the eclipse in hours. This is only well-defined for Algol type (EA) stars. 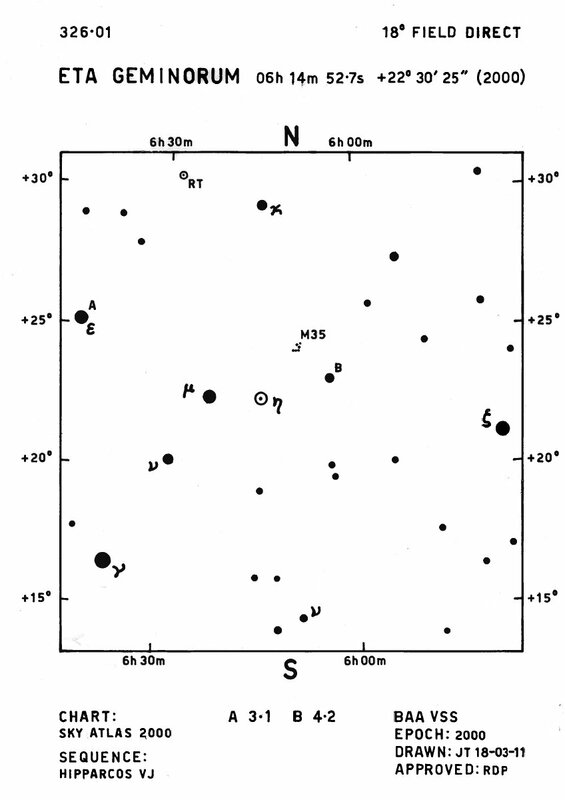 'EB' or 'EW' in this column indicates that the star is a Beta Lyrae or W UMa star. The 'Chart' column gives the identifier or date of the latest version of the chart. 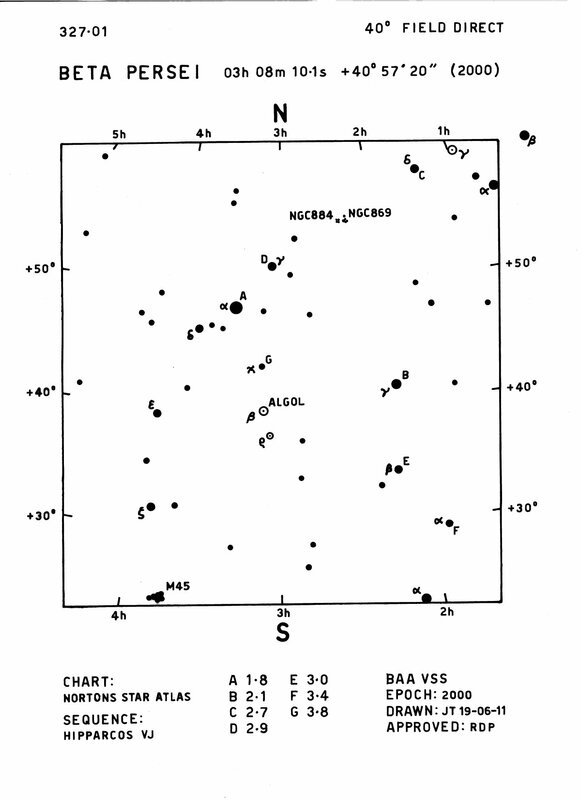 A star name in this column indicates that the star is included on a combined chart under the name of another star. Where there is no date entered, the chart is currently being prepared. If a star is highlighted, the link will take you directly to the chart.